Stress negatively impacts health outcomes across all racial and ethnic groups, but the health disparities experienced by Latino immigrants in nontraditional migration cities are exacerbated by undeveloped infrastructure and weak social support networks. 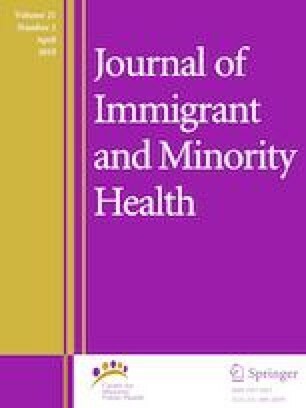 Immigrants in new migration cities can be difficult to engage in health interventions and are therefore underrepresented in the very research where their inclusion is most crucial. To effectively engage Latino immigrants, a team of academic and community researchers collaborated on a community-based participatory research project to design and implement a stress and coping intervention. Top stressors reported were family, children, and work, but health was most commonly identified as the primary stressor. Participants overwhelmingly chose physical activity goals for stress reduction. Pre- to post- intervention results revealed significant improvements in social support and stress management. Results demonstrate the effectiveness of a peer-led, community-partnered approach to implementing a stress intervention with Latino immigrants in a nontraditional migration city. This project was funded by a grant from the United Way of Greater Cincinnati. Centers for Disease Control and Prevention. Summary health statistics: National Health Interview Survey: 2014, Table A-8. http://www.cdc.gov/nchs/nhis/shs/tables.htm (2016). Accessed 1 Jan 2017. American Psychological Association. Psychology of immigration 101. http://www.apa.org/topics/immigration/immigration-psychology.aspx (2016). Accessed 16 June 2017. Centers for Disease Control and Prevention. Summary health statistics: National Health Interview Survey: 2014, Table A-7a. http://www.cdc.gov/nchs/nhis/shs/tables.htm (2016). Accessed 16 June 2017. American Psychological Association. Stress in America: the impact of discrimination. 2016. http://www.apa.org/news/press/releases/stress/2015/impact-of-discrimination.pdf. Accessed 29 Mar 2018. Joint Center for Political and Economic Studies and PolicyLink. Community-based strategies for improving Latino health. 2004. http://www.policylink.org/sites/default/files/COMM-BASEDSTRATEGIES-LATINOHEALTH_FINAL.PDF. Accessed 16 June 2017. Cincinnati USA Hispanic Chamber. A closer look at latinos vs. our 11 peer metro areas. Did You Know… Hispanic Facts, Data, and Trivia. Cincinnati: Verdad Institute; 2015. http://www.cincinnaticompass.org/images/datadocuments/2015_HCCUSA_Fun_Facts.pdf. Accessed 29 Mar 2018. Vaughn LM, Jacquez FM, Zhen-Duan J, et al. Latinos Unidos por la Salud: the process of developing an immigrant community research team. Collaborations. 2017;1(1). http://scholarlyrepository.miami.edu/collaborations/vol1/iss1/2. Accessed 16 June 2017. Suárez-Orozco C, Birman D, Casas JM, Nakamura N, Tummala-Narra P, Zárate M, Vasquez M. Crossroads: the psychology of immigration in the new century. In: Report of the APA presidential task force on immigration. 2012. http://www.apa.org/topics/immigration/executive-summary.pdf. Accessed 29 Mar 2018.